The Abingdon Air and Country Show celebrates its 20th anniversary! View unique displays in some rarely seen aircraft, including the North American NA-64 Yale, a Pitts muscle plane and a SIAI  Marchetti SF260. 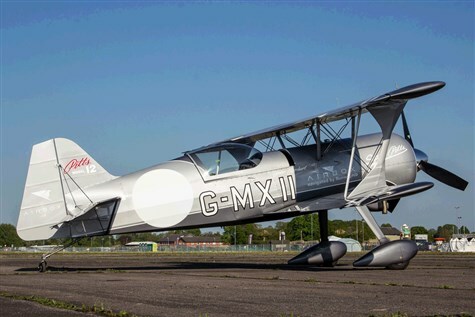 The Stampe Formation Flying Team, often referred to as the Belgium Ballerinas will display in 4 Belgium Stampe bi planes and Aerosuperbatics Wingwalkers will fly a 3 aircraft formation. There will also be a parachute drop by Jump4heroes and a spectacular fly-in of around 70 aircraft. On the ground there will be Classic Jets, radio controlled models, WWI and WWII re-enactors, Hawkwalk Falconry and other birds, the Rockets Childrens Motorcycle Display Team, Radio Days Big Band and ex-military and classic vehicles including commercials and motorcycles and plenty of trade stalls.